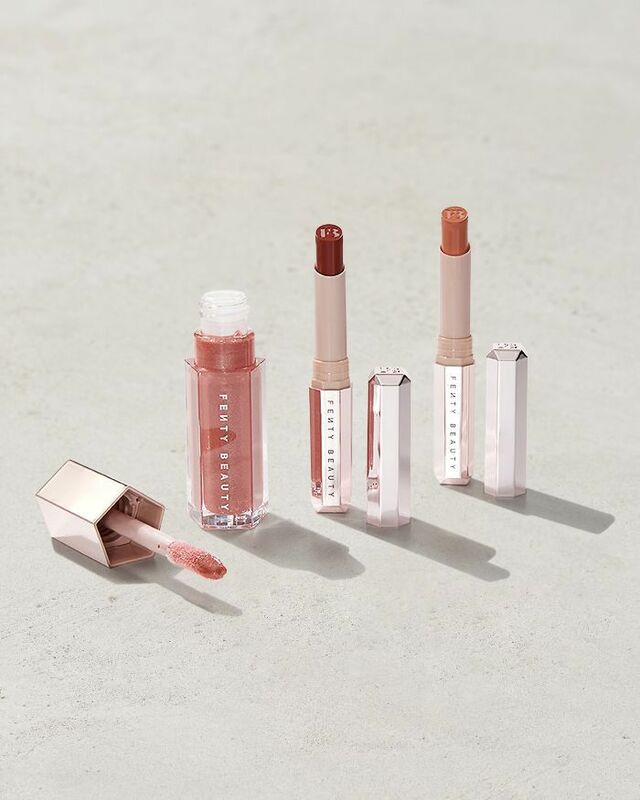 It's hard to remember a time before Fenty Beauty existed, especially considering the die-hard cult following Rihanna's instantly iconic cosmetics line has garnered since it launched in the fall of 2017. 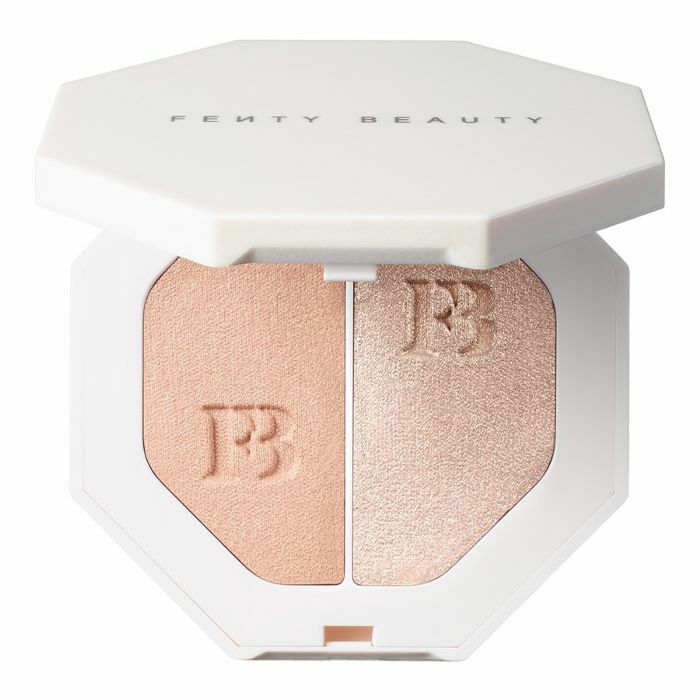 Scores of celebrities have launched makeup brands that their fans would buy and love regardless of the quality, but with a massive selection of foundation ranges; impressively blendable, stay-put formulas; and unexpected pigments like its yellow Trophy Wife highlighter and Midnight Wasabi green lipstick, Fenty Beauty is a brand not only for Rihanna lovers but for genuine makeup lovers, too. 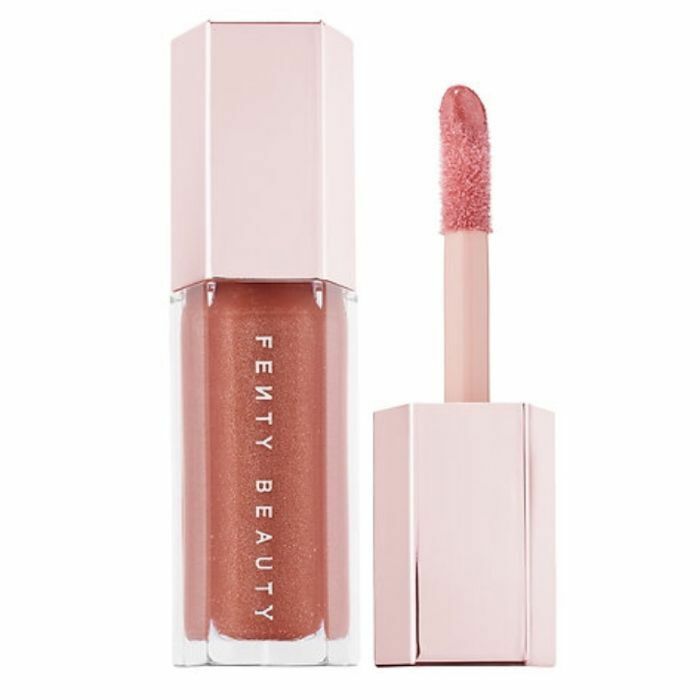 So much praise has been sung and tea has been spilled about Fenty Beauty that you think there'd be nothing new to say, but for all the truly obsessed Fenty fans out there, we have a little something special. We got in touch with the brand's global makeup artist, Priscilla Ono, to pick her brain about Fenty secrets most people don't know, like product hacks, the fastest ways to find new launch information, and more. Keep scrolling for Ono's best Fenty inside secrets! Fenty's 40-shade range of foundation is awesome, especially when you know this trick for finding your exact match: "Fenty Beauty specifically organized all of the shades of the Pro Filt'r Soft Matte Longwear Foundation based on skin tone: 100s are light, 200s are considered medium, 300s are tan, and 400s are deep," says Ono, who suggests that once you identify which group you're in, narrow down the results further by determining your skin's undertone. "If you're not sure, ask yourself: Does my skin burn easily? If yes, then you're most likely a cool undertone. Do I tan easily? If yes, then you're most likely a warm undertone. Do you burn first then tan? If yes, you're most likely a neutral undertone." Once you figure that out, you'll be able to narrow down your potential matches to a few shades. "You can also test out the results from there or use the Shade Finder tool on Fentybeauty.com to find your perfect match," Ono says. Fenty's Match Stix are marketed as concealer, but Ono's favorite way to camouflage dark under-eye circles is actually with the foundation (because marketing, shmarketing). 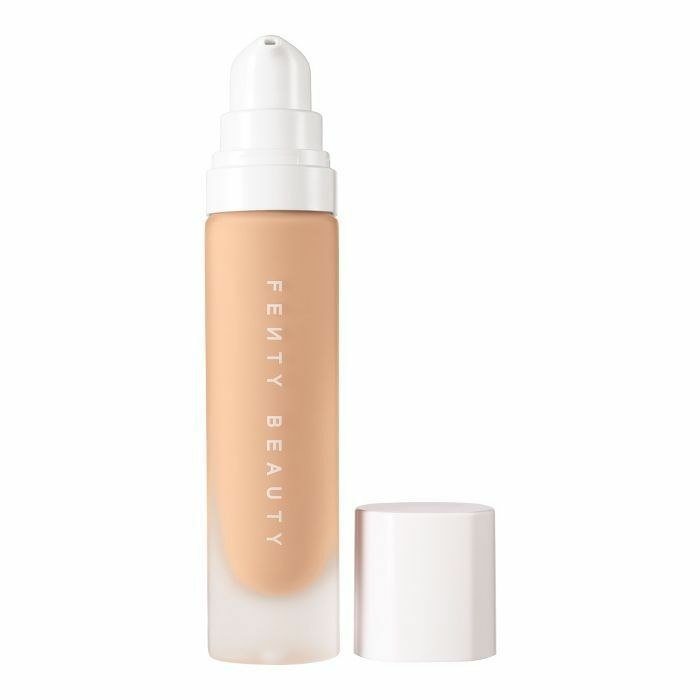 The perfect crease-free formula for dry under-eyes, Fenty's foundation is formulated to provide "lightweight, buildable full-coverage, so you can concentrate your foundation in certain areas that need more coverage by targeting it with a sponge," Ono explains. "I always go a few shades lighter when using it as concealer to help brighten the under-eye area, and it's self-setting, so it doesn't crease or crack." If that weren't enough, know that by buying a CLF Edition Killawatt Freestyle Highlighter, you're doing a good deed for more than just your face: "100% of every purchase goes to the Clara Lionel Foundation, which supports education, healthcare, and emergency response programs in developing countries," Ono explains. Rihanna may be a nine-time Grammy Award–winning musician and a goddess, but she's also a real one who lives for her products and dedicates tons of time to uploading makeup tutorials to Fenty's YouTube channel. She has a series on there called Tutorial Tuesday, which is so worth watching, and if you're not subscribed, what are you even doing? "From Rihanna's personal highlighting technique to some of our favorite Halloween makeup look ideas, it's a great resource for all of your makeup how-tos," says Ono of Fenty's YouTube channel. "Whether you're new to beauty or a seasoned pro, there are looks to suit every skill level." Ono says that the Gloss Bomb lip luminizers in Fenty Glow and Diamond Bomb are essentials in her kit, but not just because they look flattering and plumping as lip toppers. They also make insanely nourishing pre-lipstick treatments, too. So if your lips feel chapped and you're fresh out of Aquaphor, just use your Gloss Bomb. "They … contain a lot of shea butter, so they can be worn alone for a subtle shine, on top of your favorite lip color, or used as lip balm to heal and moisturize lips," Ono says. Fenty has a whole slew of curated value sets, which include a mix of new and cult-favorite products and actually help you save money when shopping (for example, you can get $54 of products for $44; $149 worth for $119, etc). "One of my favorite sets, that was designed by yours truly, is Up 2 No Good, Shawty?, which features two Mattemoiselle Plush Matte Lipsticks and a Gloss Bomb Universal Lip Luminizer," says Ono. She's also obsessed with the Ultimate Eye Essentials: 5-PC Collector's Set for creating a RiRi-worthy eye look. Want to know the latest news on Fenty product launches? The best way to get the info first is just by following the brand on Instagram. "Fenty Beauty is always introducing new products, like our Chill Owt holiday collection, which just launched on October 12," says Ono. "Follow along on @fentybeauty to stay up to date on all product news." Want more makeup shopping tips? Next: seven inside secrets for anyone obsessed with Tarte.